Childcare providers in Rhode Island say families can't afford rising costs, while educators are struggling to get by on low wages. Some argue the federal government should subsidize childcare. US Sen. Jack Reed (D-RI) is co-sponsoring legislation to subsidize childcare costs for families earning up to 150% of the state’s median income. Speaking at a childcare center in Providence, he said the bill would have economic benefits. The benefits of early childhood education are well-studied, but it’s also expensive. According to a national report by the nonprofit Child Care Aware, the average cost of infant care in Rhode Island is over $13,370 a year. “When you have a situation where families can’t afford it, and many of the teachers don’t get the kind of quality wages and benefits they need to continue doing it, we’ve got a problem,” Reed commented. This bill would cap childcare spending at 7% of a family’s income for those earning less than 150% of the state’s median income. Families earning less than 75% of the median income would have the full cost covered by the federal government. That assistance would reach 82% of families in the state, according to the Rhode Island Association for the Education of Young Children. The group’s director, Lisa Hildebrand, said the bill would also raise wages for child care providers. “53% of that workforce receives at least one form of public benefits. The teachers who are caring for and educating our youngest children are living at the poverty level and are having to make the hard decision between putting food on their table and paying their electric bill,” Hildebrand said. Childcare providers say, they can’t pay employees higher wages without charging families more. Senators from Rhode Island and Massachusetts all co-sponsored an earlier version of the bill, introduced in 2017. Reed is critical of President Trump’s budget, introduced Monday, which he says will cut federal funding for childcare. In another attempt to address the high cost of childcare, Governor Gina Raimondo is advocating for universal preschool for all 4-year-olds in the state. 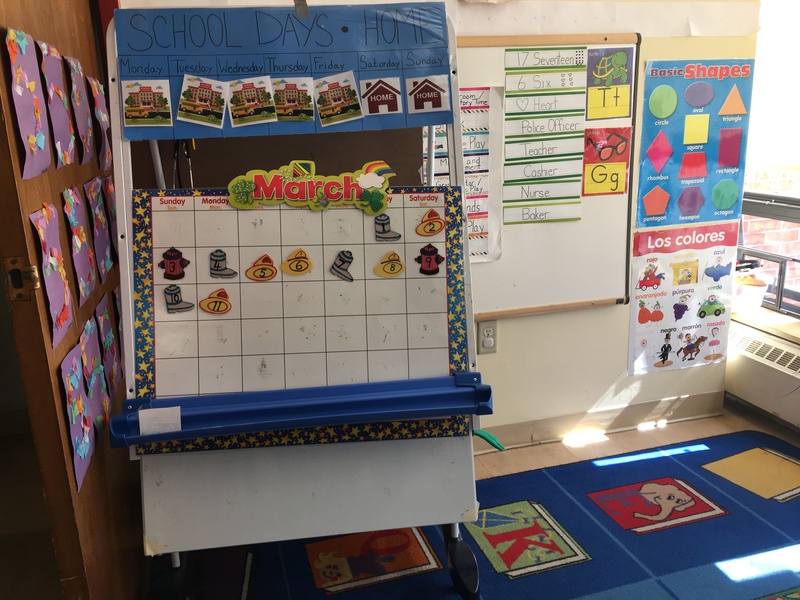 An early childhood classroom at Federal Hill House in Providence, where Sen. Jack Reed addressed parents and educators March 11, 2019.